Last week, the website GameSpot reported that there was a paywall on Metal Gear Solid V’s PVP mode. Turns out that’s not true. Let’s cut through the misinformation and clear up exactly how Konami is trying to get your money here. 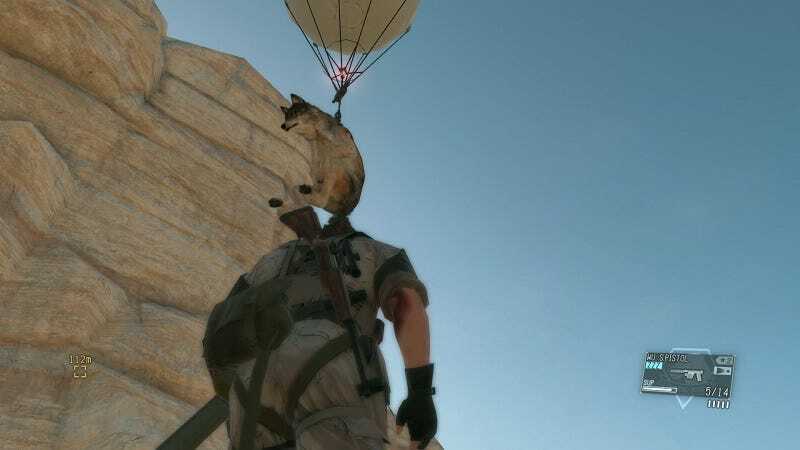 Anyone playing through the newest Metal Gear will eventually unlock a feature called Forward Operating Bases—or FOBs. In short, constructing these FOBs will allow players to deploy extra units on combat missions, earning money and resources that can be used to upgrade weapons at Snake’s headquarters, Mother Base. Players can also invade other FOBs, beef up their own bases’ security, and do other things that I haven’t had much chance to play around with because Metal Gear Solid V’s PS4 servers have been failing all day. So, yes: You can build a FOB, expand it, develop security, and reap all the benefits without dropping any real money, despite all the misinformation that floated around last week. We’re not sure just how much it’ll benefit players to have more than one FOB, and we can’t test it out right now—friggin’ Konami server problems!—but jeez, that’s expensive. It’s unclear whether you can also get MB Coins through regular play. I haven’t gotten any over the ~50 hours I’ve spent with the game so far, but Konami’s servers have been offline. When you’re playing offline, the whole system is disabled. It should be noted: you can play through the entire game without caring about any of this. That’s what I did, and I think it’s excellent. But of course, it’s hard to get that sour, metallic, microtransactiony taste out of your mouth. Why do you have to ruin everything, Konami?